The Society of Petroleum Engineers (SPE) recently honored Ian Phillips with SPE Distinguished Membership at SPE’s Annual Technical Conference and Exhibition held 24-26 September in Dallas, TX. Phillips is CEO at Oil and Gas Innovation Centre. Phillips is being recognized for his SPE North Sea Region leadership roles including Regional Director & Aberdeen Section Chairman, for managing and chairing the prestigious SPE Offshore Achievements Awards which has gained International recognition for the SPE Aberdeen Section. SPE serves more than 159,000 members worldwide, sharing technical knowledge for the benefit of our industry. Each year, SPE presents awards that recognize members whose efforts have advanced petroleum technology, as well as their professional achievements and contributions to the industry and the society. “It is an honor to recognize Ian for his commitment and dedication to the oil and gas industry with the SPE Distinguished Membership. 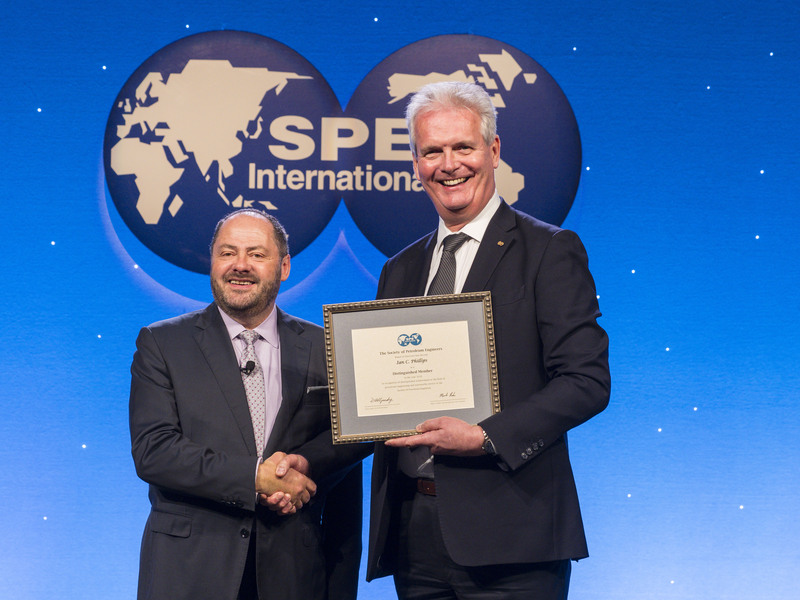 SPE international award winners were nominated by their colleagues and selected by their peers for their achievement and contributions and it’s my pleasure to congratulate him on receiving this prestigious international award from SPE,” said Darcy Spady, 2018 SPE President.